Sir Cliff Richard says he has learnt to accept radio stations refusing to play his music. The veteran star has complained in the past that the lack of support he gets from radio stations is stopping fans from discovering his new music. Sir Cliff said: "Singers can't tell stations what to play, but when you're left out for no apparent reason, there's a frustration. I've kind of got over that now, and I've had my grumble, and I was right to have my grumble too, but life goes on. "I still get to write and make music, but how do you sell downloads unless someone hears the song and goes to buy it?" The 70-year-old singer - famous for Summer Holiday and Devil Woman - had his first hit in 1958 and has a new album due out this year. His recent work has included The Millennium Prayer, a sung version of The Lord's Prayer. 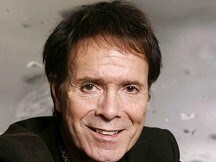 According to Tthe Times Rich List 2010, Sir Cliff is worth £50 million.